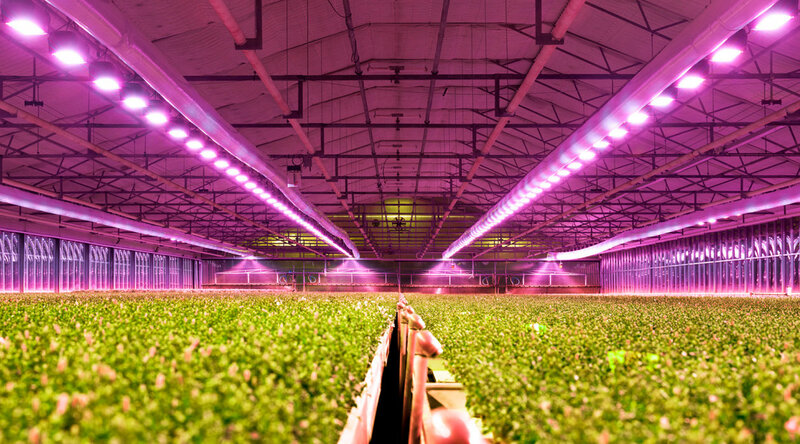 80°, 120° and 150° to support provide the perfect lighting for all types of plants and flowers, allowing to adapt the light exactly to the needs of various crops. Different ratios between deep blue, hyper red and far red can be achieved simply by varying the number of the respective OSLON® family LEDs, without any change of the PCB or luminaire design. Different radiation characteristics enable applications with focused light or wide viewing angles without additional lens costs. The small footprint allows very compact clustering of the LEDs and makes easy and efficient optical designs possible. The ceramic package can withstand very high temperatures of up to Tmax = 135 °C and makes the thermal design cost-effective and stress-free. Get your kit for free!